LonAire is proud to present N47TT, a Turbine Jetprop 840 Twin Commander with the Dash–Ten Engine Conversion, which provides more horsepower, (1,000 HP per engine) and reliability. It is pressurized, air conditioned and equipped to provide great capabilities, flexibility and unprecedented training opportunities. With this aircraft’s speed and range, we can fly missions from a greater distance; be able to reach an IFR alternate and still have fuel reserves. With all of the equipment installed it is much more than a Type I Air Tactical Platform, perhaps a Type I + + +? 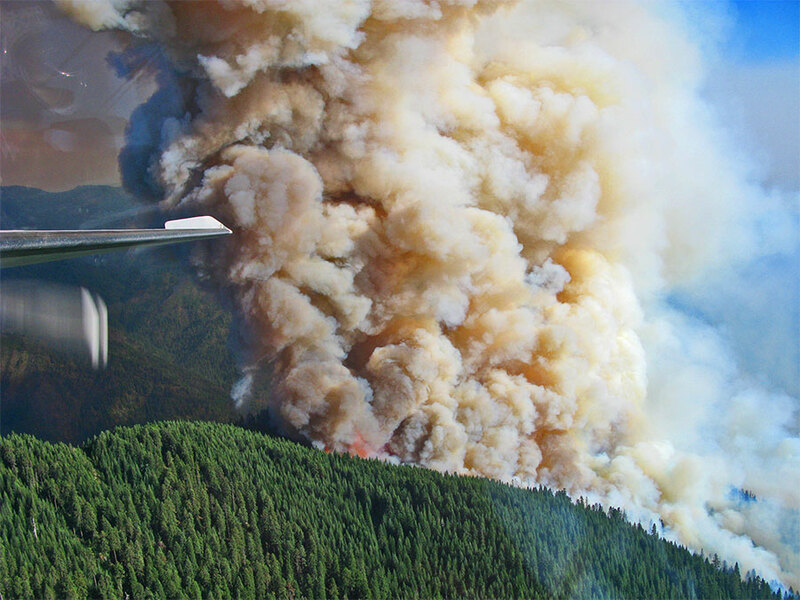 This photo was taken from the N47TT Turbine Jetprop 840 Twin Commander while on a firefighting mission in Montana.